There’s one question that many players use to ask me: “Which live poker tournament would you advice me?” The live poker offer has grown a lot the last years and nowadays tournaments are everywhere and for all budgets. Therefore, choosing the right tournament is really important to make a good money investment. I would like to focus on some guidelines to help you out choosing the best live tournament. 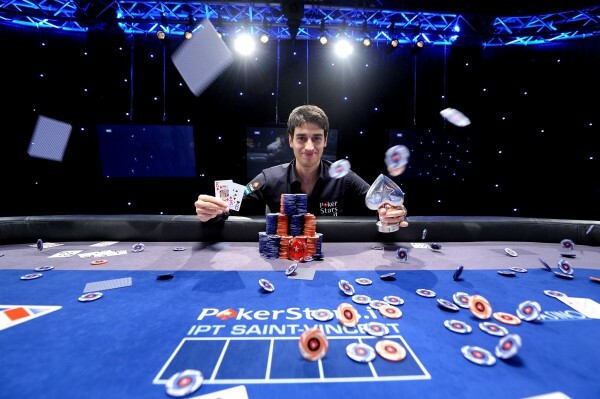 The best poker tournaments in terms of R.O.I. are usually those with a large number of entrants. Unless you are going to play in a very famous poker event, you better choose tournaments with a guaranteed prizepool. Having a guaranteed prizepool means knowing how to deal fairly with players: organizers are running a business risk to ensure tournament’s quality and to give customers an extra value to their rake. A good tournament should have from 10 to 15 percent of players ‘in the money’ while the winner should be rewarded with not less than 80 – 100 buy-ins. Tournaments differ in structure and lenght, so you’re not supposed to pay always the same amount of rake. For instance, playing a deep-structure multi-day tournament implies several costs for the organization (location, dealers, etc.) thus a 10% fee sounds fair enough in this case. For the same reason turbo and hyper-turbo tournament fee should be lower since they might last one day or even just a few hours. As I noticed recently in several poker festivals, you can’t tell a deep tournament from a hyper-turbo structure according to the rake you have to pay. Quick structures are hardly beatable in a long term period with such a huge fee percent and eventually who’s getting most benefits from these conditions is the organization itself. Playing live tournaments means more likely to travel somewhere. So an important requirement is being able to manage well your own finances in order to make a profit. You can start saving money by booking flights and hotel few month in andvance or finding a good friend to split accomodation costs. Moreover if you’re planning to fully enjoy the location (like gambling at the casino or going out for dinner or partying in a night club) be sure to have a separate budget and try not to cross it. Players usually pay a 10% rake out of a tournament buy-in, plus an extra 3% (cut off from the prizepool) to provide organization costs. Having rolled these numbers out you should consider whether to leave a tip or not according to your winnings. It is courtesy to leave a small tip if you feel satisfied about the whole experience (rake, atmsohpere, dealers, etc.). If you haven’t had the time of your life and someone asks you to leave a tip due to the prize reached you can instead refuse as you have already paid an effective 13% rake so far. Great advice! It does seem to often that the tip is mandatory, it should never be expected.